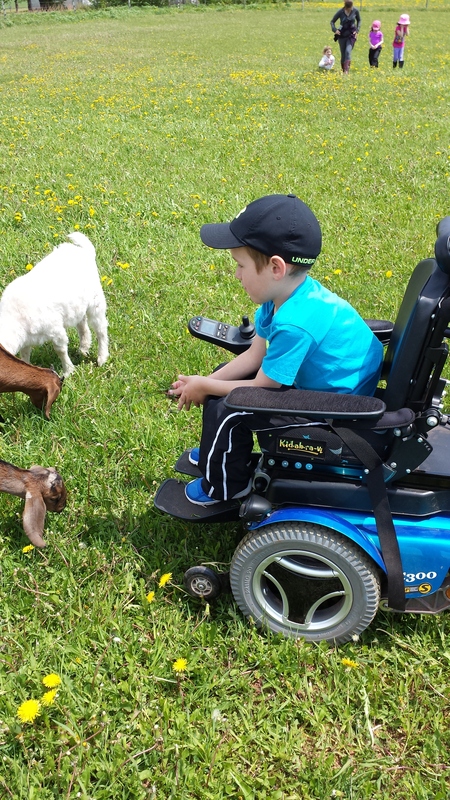 We had the wonderful privilege of visiting the amazing Island Hill Farm on Tuesday, June 9th, 2015. Here is a picture of the group that attended from the three Bloomfield Kindergarten classes. Our classes visited in the morning and stayed for about 2 hours . 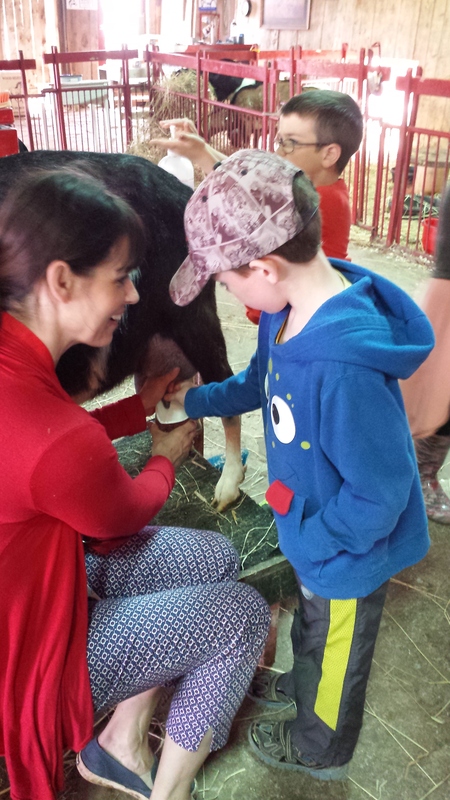 Each child had the opportunity to see, touch/feel and enjoy this wonderful farm and friendly animals and even help out a bit with cleaning and milking. The milking demonstration was first viewed through a demonstration by Flory and then many children were able to give it a try. Flory Sanderson milks her goats by hand and shares the milk with Chef Jeff McCourt who will be making Island Goats milk cheese from it. The animals were very friendly and easy to love and pet. 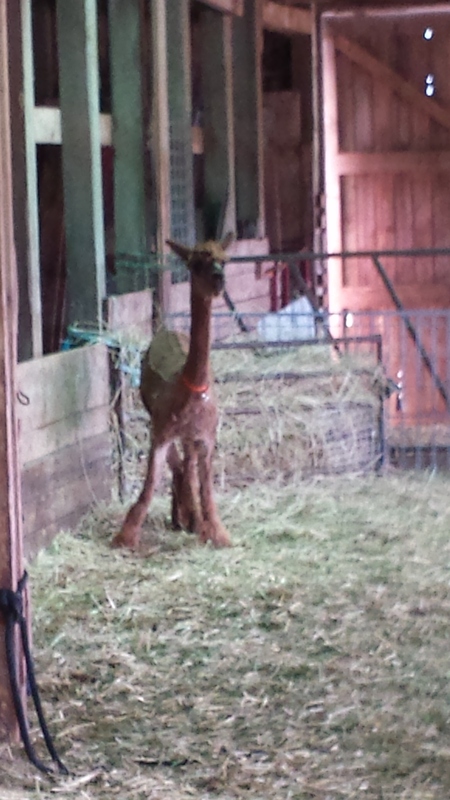 Flory has 9 different breeds of goats and even owns fainting goats named Melman and Gloria . 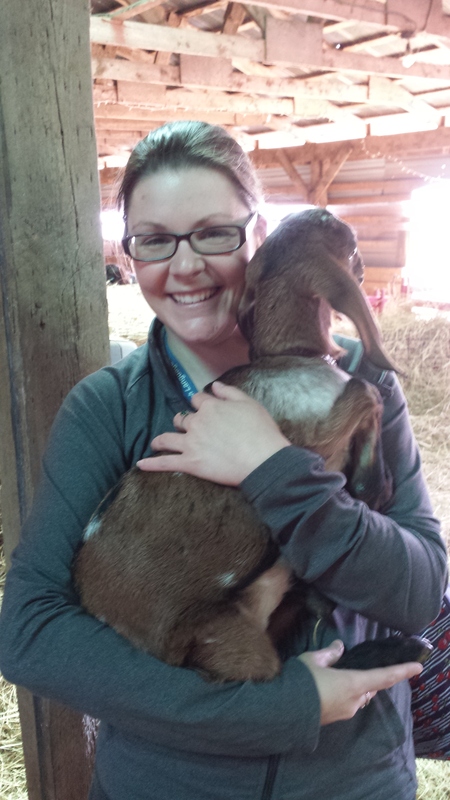 There are 70 and counting goats here at the farm, two alpacas named Alphie and Dory , 1 miniature donkey named Gavin . Also observed were laying hens , ducks , chicken and some fancy birds . 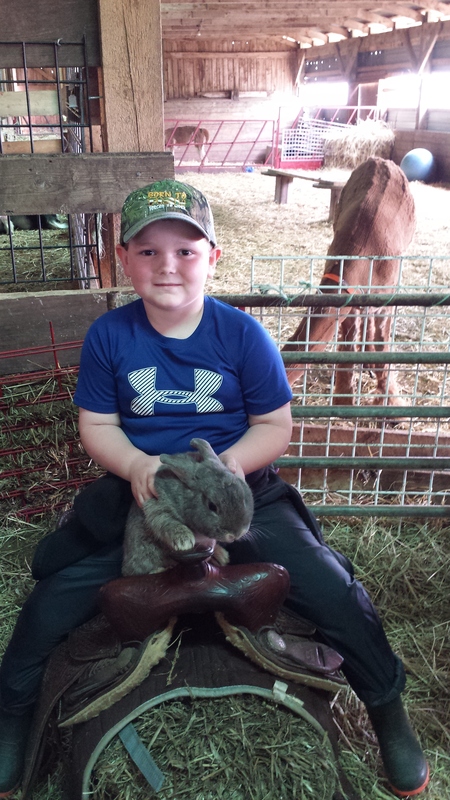 Bunnies can have babies every 28 days; the children all enjoyed holding one of the friendlier ones and each got a picture taken. Since the rain held off while we were there, we were able to take a few animals out for a walk down the fun hill . Flory also encouraged us to have a picnic outside as the weather permitted, but for those future visitors hoping to visit the farm who will be having lunch on the farm during rainier weather, they have a separate room that can hold up to 4 picnic tables which larger groups could also take turns in that room to eat . 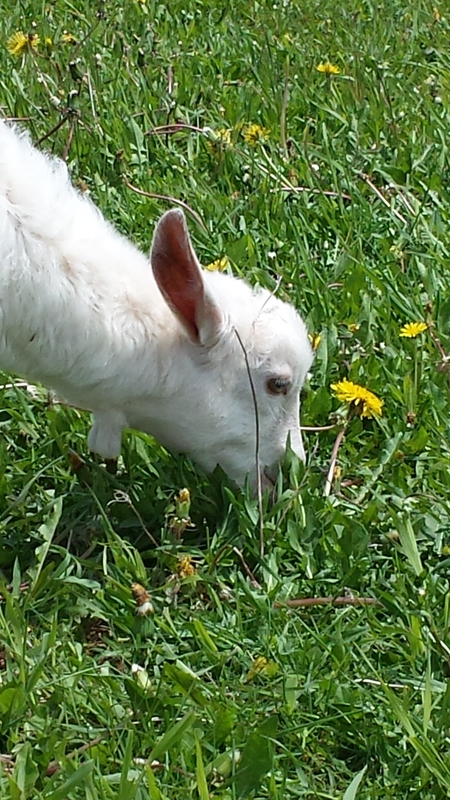 As for us, we loved watching goats frolic and play while we ate. 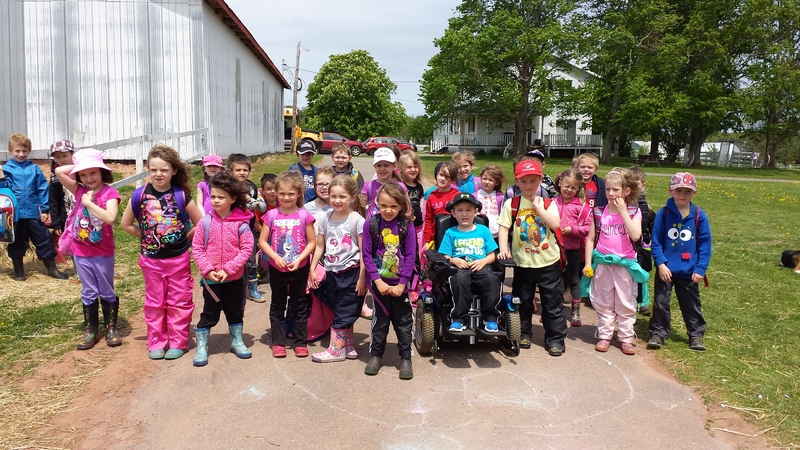 “A few things about Island hill Farm and what I expect from the school and staff and your volunteers. Proper footwear. Absolutely no flip flops or open toed shoes it’s not safe on a farm . Volunteers must be traveling with out other children from home , they can still visit but would not be able to supervise and be responsible for the school kids . I hope you understand this request and rule . Cost is 5 dollars per child and visitors that wish to come along . I have lot of parking and easy Bus room for getting turned around . 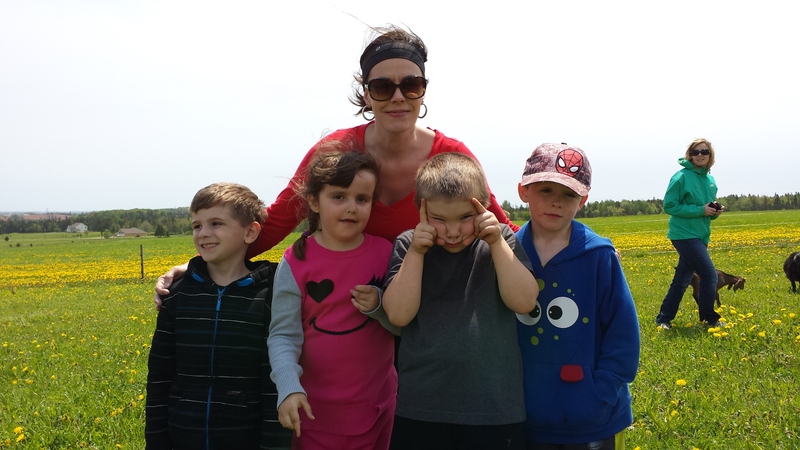 To answer the educational question you and the children will see and experience an actual working farm from the cash crops in the fields around me ( ours ) . If you are on Face book our Cover picture is some of the land around us that we own and to the right you can’t see but has another 100 acres . I am a goat breeder and house over 70 goats from milking does and as I mentioned we win be milking for Chef Jeff McCourt . The reason for Gavin the Donkey is protection each animal down ti the cats have a huge part of the farm and a job . The laying hens and chickens is something kids are so curious about , we are close to self- sufficient. My husband’s business farm is a 4 generation farm of beef and potatoes and cash crops . 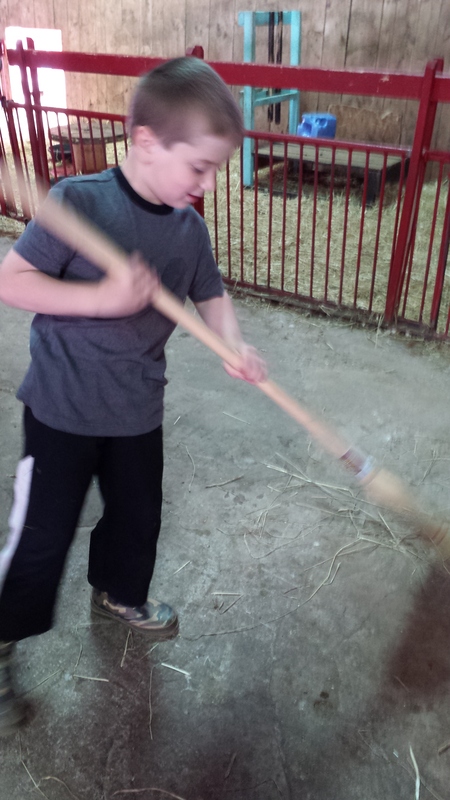 Here are a few more pictures of our day at the farm! Enjoy! !